This marker is located at 1599 Highway 395 N, Minden, Douglas County, Nevada. There are 17 other historical markers in Douglas County. 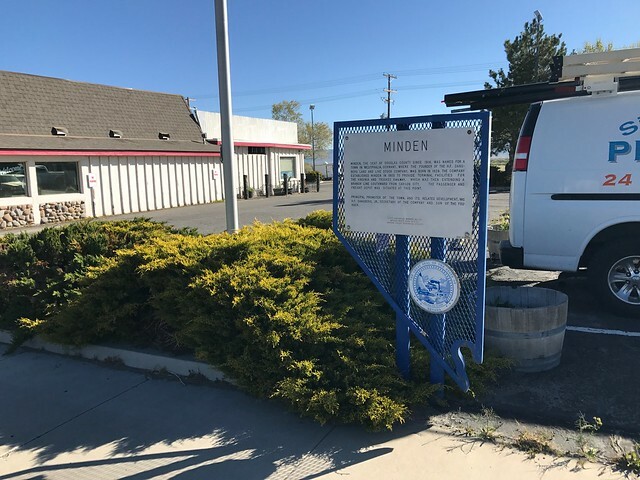 The GPS coordinates for this location are 38° 57'09.9" N 119° 45' 42.8"W.
Minden, the seat of Douglas County since 1916, was named for a town in Westphalia, Germany, where the founder of the H.F. Dangberg Land and Live Stock Company was born in 1829. 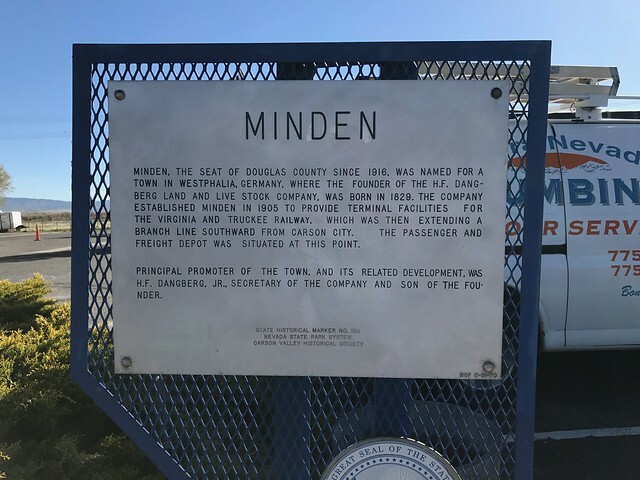 The company established Minden in 1905 to provide terminal facilities for the Virginia and Truckee Railroad, which was then extending a branch line southward from Carson City. The passenger and freight depot was situated at this point. Principal promoter of the town and its related development was H.F. Dangberg, Jr., secretary of the company and son of the founder.